Great websites. World class design. Phenomenal post build support. Highly recommend. I have been working with Juuce Interactive for over ten years and in that time they have done a range of things for our business. They have designed, created and managed a website for us, managed our email hosting and always been on hand to assist us when we need it. Their customer service is some of the best I have ever experienced and nothing is too much trouble for them. I can’t recommend them enough for your design services needs. Highest recommendation – the team at Juuce nailed the brief first time out, and have patiently and carefully worked with us to fine tune designs throughout the project. Their friendly professionalism is matched only by their attention to detail and creative talent. Our company will absolutely continue to work with Juuce Interactive on future projects. I have used Juuce for many years for web design, general graphic design, and some other special projects. In every instance they have applied a mix of business sense and creativity that gives me the confidence to turn to them first when I have a project. We have worked with Juuce for many years on websites, logos, branding and other design work and they have been fantastic. They are professional, very talented at what they do and produce excellent results. They are great to work with and I highly recommend their services! 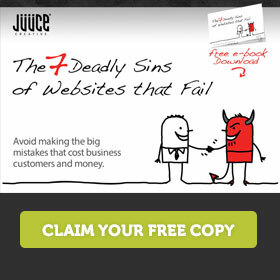 The team at Juuce did a great job in when it came to building our new site. They were extremely easy to work with and looked at different ways to provide added value (outside of the scope of our agreement). I’d definitely recommend you speak to the team at Juuce!!! Does very good quality work. We have done branding, logo, brochures, flyers and much more with them. I have worked with many designers/graphic companies before but Juuce really know their field of work. Designs are a step above and the quality shows. This is extremely important as it matches our clientele – without the correct branding I am certain my business would not have done so well. They take the time to know your business and advise accordingly. I have worked with them for a few years now and have always been happy with the results. Will continue to work with them on future projects. They’re also reliable, professional and timely – which I really appreciate as I am busy managing my own business. 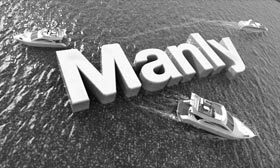 Manly thanks! We have worked with George and the team at Juuce on two separate projects so far and have found their knowledge, insights, capability and support fantastic. They were able to take our raw thoughts, ideas and concepts and guide us through the process of developing a refined and comprehensive brand identity which aligned with our goals. As well as this, they are a great bunch of friendly and relaxed people which certainly helps to support a constructive working relationship. We look forward to continuing to work together well into the future – keep up the great work! George and his team (Sam and David) were most helpful with our business needs. Very professional team with superb communication. Knowledge of what they’re doing is out of chart. I’m very happy that I found someone so good. Great work guys. (Gave you five stars only because I cannot rate you higher), thanks again. Petr, Managing Director. We have worked with Juuce on four campaigns and every time they have been professional and creative. All requests and changes have been dealt with quickly and efficiently, it’s refreshing to work with a company that is committed to looking after their clients. Thanks again for all your help last couple of weeks. You guys have been great to work with and have produced some really great material Everyone is very impressed with the everything produced. Juuce Interactive has completed a variety of tasks for the Australian Rugby Union including a complete redesign of the Rugby World Cup Host Union website. Juuce Interactive has consistently provided a high level of client service, with every project being delivered on time and within budget. Juuce’s designs take into account the needs of the business and are always innovative and stylish. I would not hesitate to recommend Juuce. Juuce has completed a number of projects for us including web site design, new branding and various print jobs. We have found the quality of their work to be of a high standard and they are a very customer focused business. I’d have no hesitation in recommending their services. We’ve known and worked with Juuce for over a decade. Juuce has helped us on a wide variety of projects ranging from full company and product rebrands, website design and development and the design of regular day-to-day marketing materials. Juuce has consistently delivered great result and I would recommend them to any company looking for a design /branding partner. Thanks for making the process so simple! My first website and so much easier than I thought it would be. Our business deals with products that are intangible and services that are very personal. Building a website for a business like this that wants to portray values and expertise is probably somewhat more challenging than building a website for a business that can showcase a shiny new car. Not only did Juuce take the time to understand the issues at hand, they were willing throw themselves at the challenge. I can say with absolute conviction that our finished website represents both accurately and totally the brief given. Juuce were able to demonstrate that, when building a website, you do not have to sacrifice style for substance, or substance for style. Working with the Juuce team on the Jelly Co. Games site was one of the most effortless and rewarding professional collaborations I’ve ever encountered in business. The guys had a firm grasp of what was a fairly eccentric brief and I am completely thrilled with what they delivered in a relatively short space of time, while adhering mindfully to my budget. The site is top notch and works like a charm, and I couldn’t be happier with the design. Thanks guys! 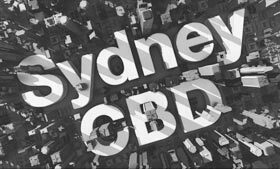 The Australian Pain Society has been working with Juuce Creative for over a year now. They are a great team, very flexible and accommodating of tight timelines. They assisted us by redesigning our regular eNewsletter, giving it an entirely new look and feel and are very price competitive too! Juuce provided me with a superior service. Not only was their work of a very high standard, but they were willing to go the extra mile and provide me with suggestions to improve my site along the way. They used their experience to produce a website that is not only visually appealing but also very user friendly and technologically advanced. As a small business owner, I was very impressed with the time and energy they put into my website. It has far exceeded my expectations. I definitely chose the right company for the job! I highly recommend Juuces’ services to anyone who is considering putting together a website or in need of graphic design work. Fantastic.What a great job Team Juuce has done with my new website. I put my trust in you guys, and was rewarded totally. In my 20 years in advertising I don’t think I have ever worked with more professional and easy to deal with creatives. May many more clients discover what Team Juuce has to offer. It was such a pleasure working with you. Thank you for your approval for stage one of this web design project. We’ll now continue onto stage two (design) and you’ll be hearing from us shortly.